In 1777 he returned to Virginia to a seat in the House of Burgesses and also to serve as a lieutenant in his county militia. 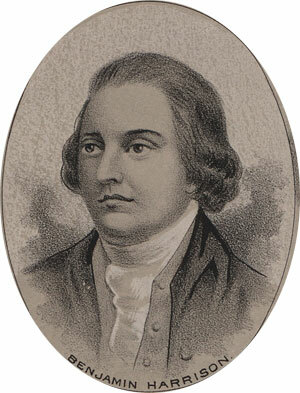 He was chosen Speaker of the House in 1778, and elected Governor of the State of Virginia in 1782. He retired from the Governor’s office after five years service. Harrison suffered with gout during his later years. He died in 1791 at the age of 65.